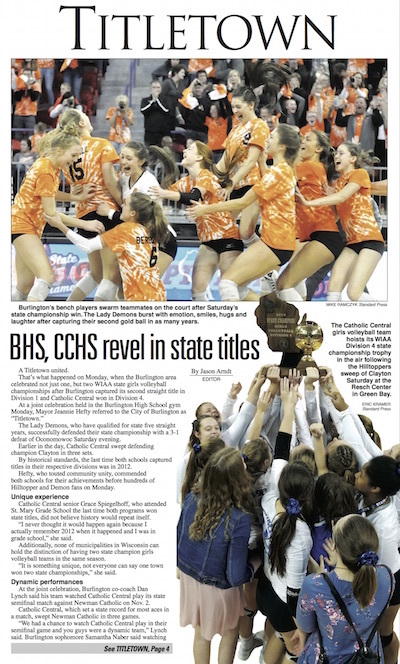 The Burlington Standard Press’ commemorative state championship edition – honoring the Burlington and Catholic Central volleyball teams – will be available at retail outlets throughout the area on Thursday. The edition features in-depth coverage of the teams’ state tournament victories, pages of photos, and other features on the players and coaches. 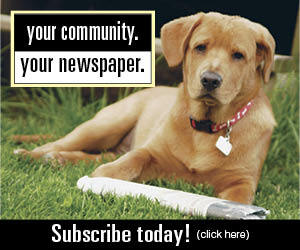 Newsstand copies are $1 each.